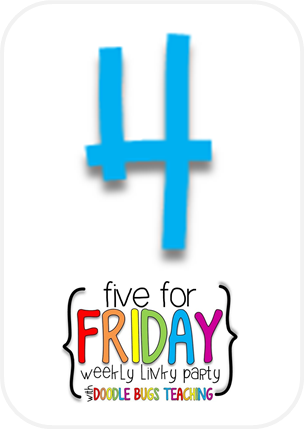 Five for Friday...on a Saturday! I'm a little late to the party....but here goes! 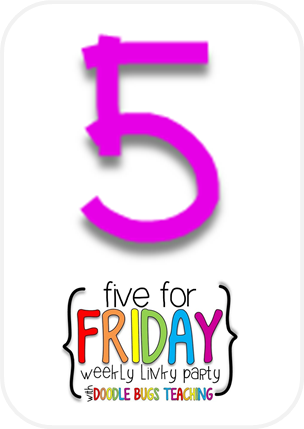 I'm linking up with Kaci from Doodle Bugs Teaching to bring you my Five for Friday, on a Saturday. This was one hectic week in Kindergarten. There are so many assessments going on it's ridiculous, I tried to squeeze in as much fun stuff as I could. 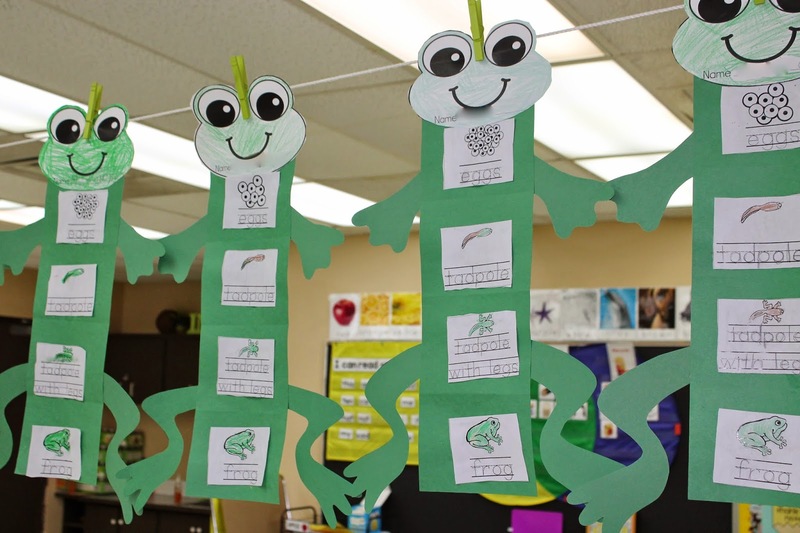 This week we wrapped up our plant and life cycle units. 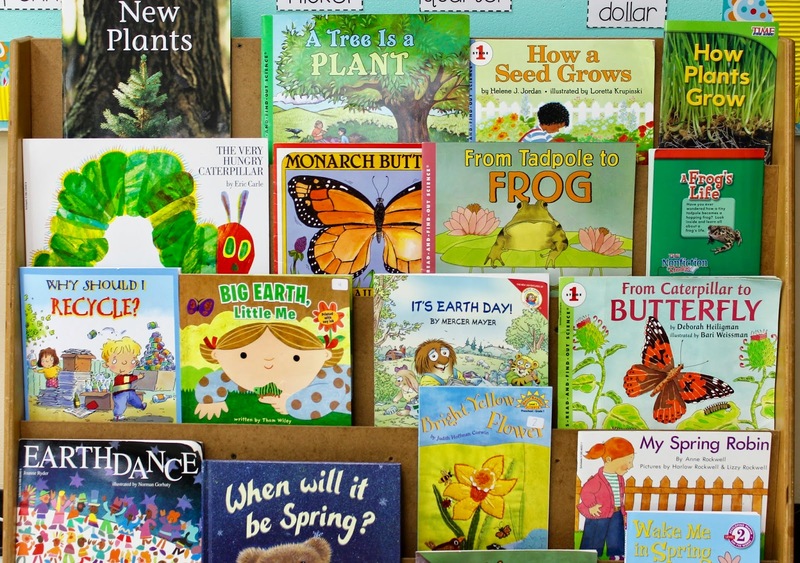 These are my read aloud books. I don't leave them on our class bookshelf throughout the year, I store them in a file cabinet by quater. But I do allow my kids to look at them during Daily 5 or when they have free time. 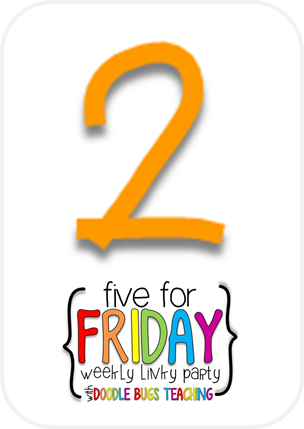 This cute activity is from TpT. I can't remeber the seller, I have the packet at school, I'll definitely come back and give credit. It didn't originally have arms and legs but I added them for extra cuteness! 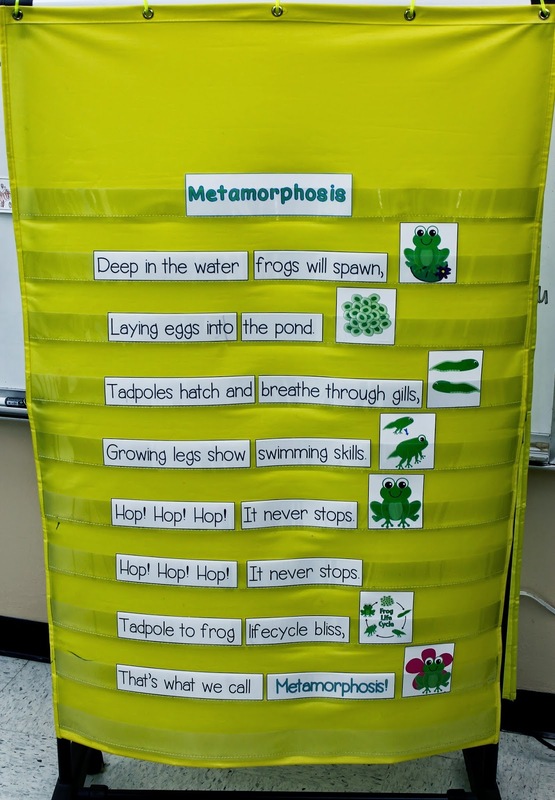 We sang this cute song from Deanna Jump's Frog Frenzy Packet. The tune is "Up on the Rooftop", my kids loved this song! 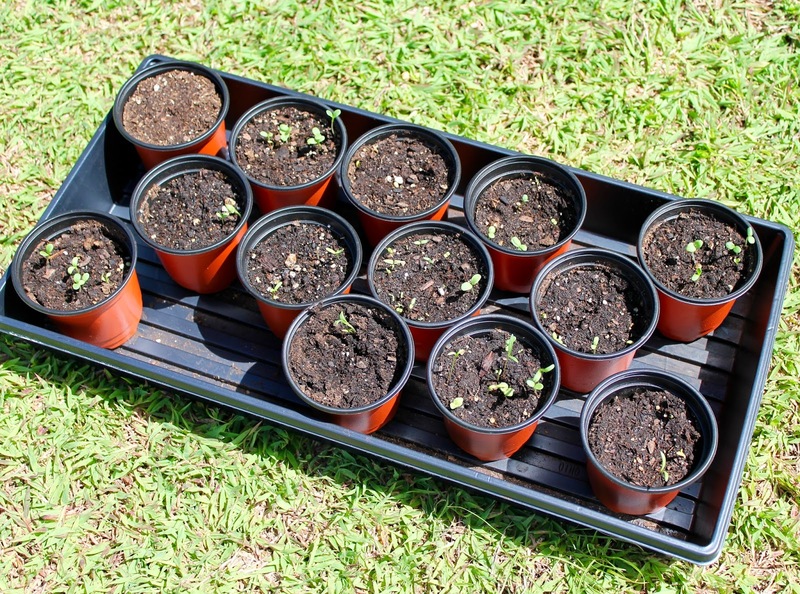 We planted flowers on Earth Day which I hope will bloom in time for Mother's Day. I let the kids scoop their dirt and lay their seeds in the middle. They had a blast making a mess! We put them out for the majority of the day and I bring them in before we go home. 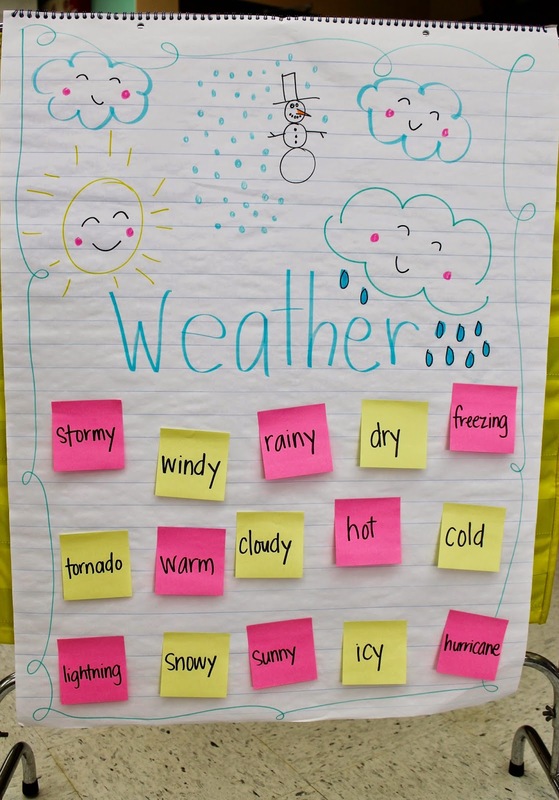 We also started our Weather & Seasons unit. Here is a chart of our schema. I can't wait to dive into this unit, it's always one of my favorite units teach. 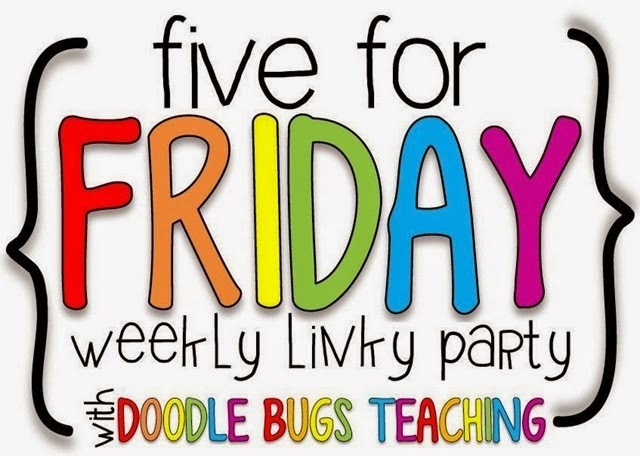 Head on over to Doodle Bugs Teaching to join in the fun! 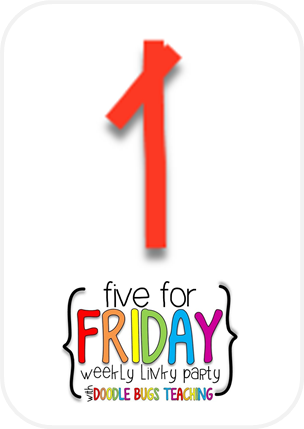 Looks like you've had a wonderful week! 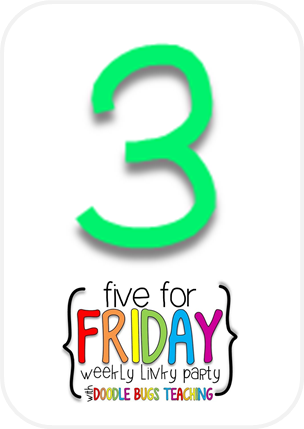 Do you use post-it notes on the schema anchor chart so you can reuse your chart? That's a great idea! Yes, I try to re-use the charts as much as I can. Thank- you! You might not believe that I found that shelf at a yard sale for $10. It has a bit of water damage at the bottom, but I still snagged it up, knowing it was such a great deal! !